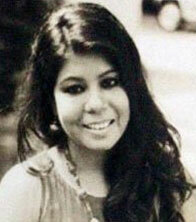 Anushree Malhotra is a Commerce Graduate; she completed her fashion designing from NIDF, now INIFD in the year 2000. She has also worked as a freelancer for 5 years associated with brands like “Prapti” & “Weekend”. In the year 2006, she launched her own brand “Anushree’s”. Anushree specializes in traditional Indian & Indo western wear. She incorporated Indian textile which includes khadi, linen & gamchha in her work with a modern context. She has used block printing, hand dyeing, and hand embroidery in the construction of modern silhouettes. She has to her credential number of television soaps & reality shows like “Samay”, “Jugantar”, “Star Ananda – Anchor Hunt” & latest Bengali movie by eminent director Mr. Shekar Das – “Jogajog”. Designed for legendary actress Hema Malini …styled for the latest Bollywood movie “Cakewalk ” starring Esha Deol. This time her collection includes fusion dresses & maxi dresses with lots of drop and comfort for ladies in different age groups. These new collections are combinations of fine quality khadi, muslins, gamchha, Hyderabadi ikkat, block prints, traditional vegetable prints from different states across the country.